ELIMINATE THE HASSLE FROM YOUR VACATION, GO ALL WEEK ON ONE TANK OF GAS. 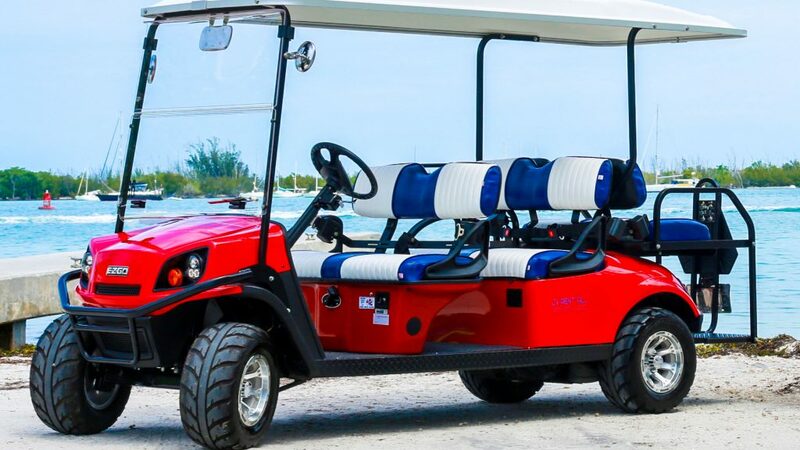 Gas golf carts are a fantastic choice for you and your family to explore the beaches and surrounding areas in Key West, FL. JV Rent’ All provides these types of cart rentals so that you have a worry free option for sight-seeing around this beautiful island. We offer two models of golf carts for rent — a four-person standard cart and a six-person luxurious cart. Also, we recently added eight-person carts for those big groups. Our carts are available for rent for 4 hours, 8 hours, or 24 hours with additional days available at a reduced price. If your group needs a larger cart, consider our six/eight-person cart. Keep your whole group together with our six-person EZGO L6. 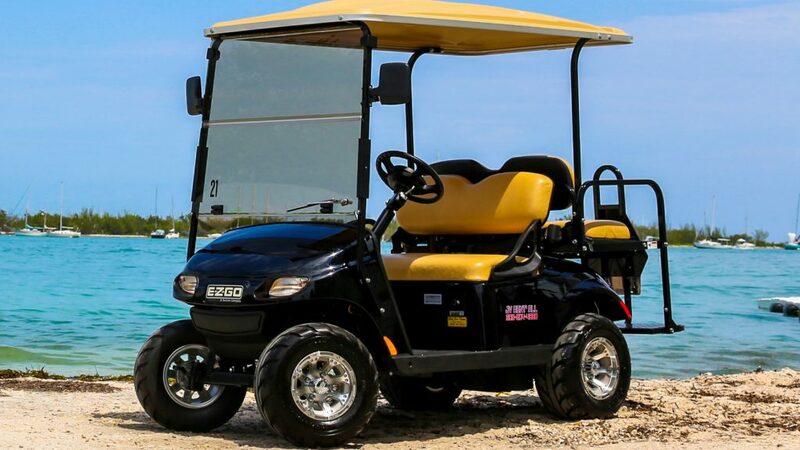 We provide gas golf cart rentals that you need to enjoy your vacation throughout the beaches and streets of Key West, FL. Our carts are all street legal, which means that you must follow all city, county, federal, and DOT traffic laws. We offer a free shuttle from your hotel, guesthouse, ferry terminal, cruises ship port, or airport to our location. Once at our location, you can rent the electric cart that suits your needs and begin your sight-seeing. Come to JV Rent’ All for electric cart rentals in Key West, FL. Call 305-204-4830 or complete our online form to book your electric cart today.